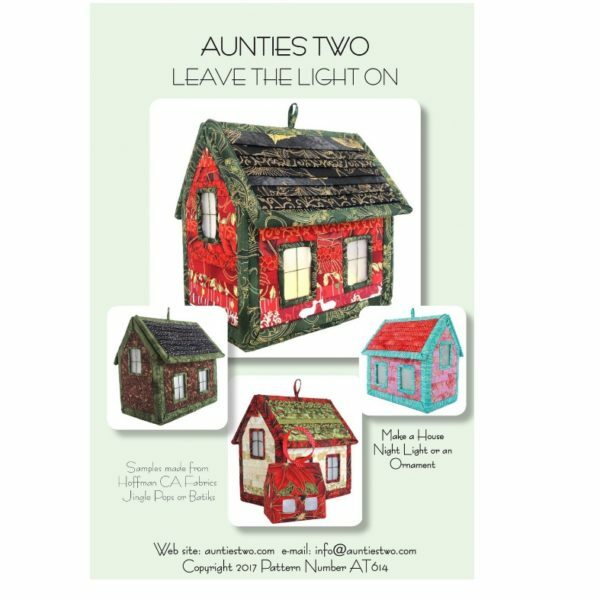 “Leave the Light On” from Aunties Two. Welcome late night arrivals by leaving a light on. 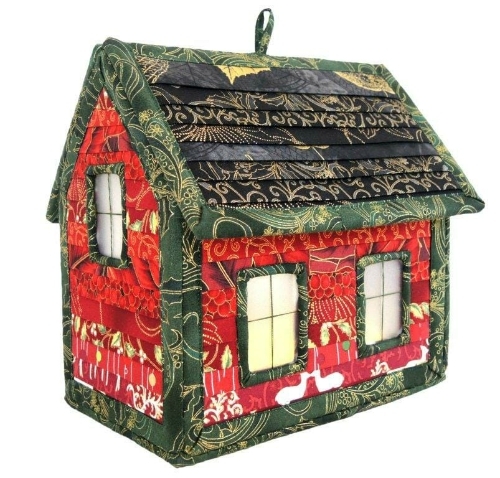 Or use it in any room for a night light or decorative container. 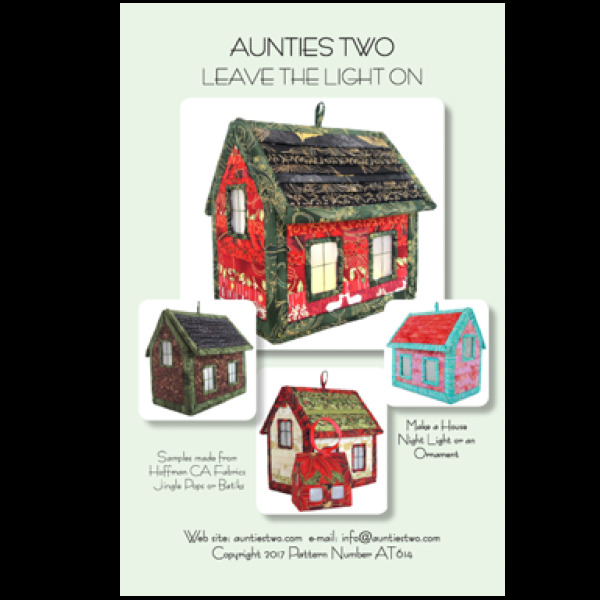 It’s a wonderful addition to your Christmas decoration collection. Easy technique makes a clapboard covered house night light (8″x 8″x 5″) with 2 1/2″ strips. Roof lifts for easy access to the battery-operated lights. Diffuse the light with frosted windows (made from template plastic or semi-transparent paper). Set it on a shelf or hang in a window. 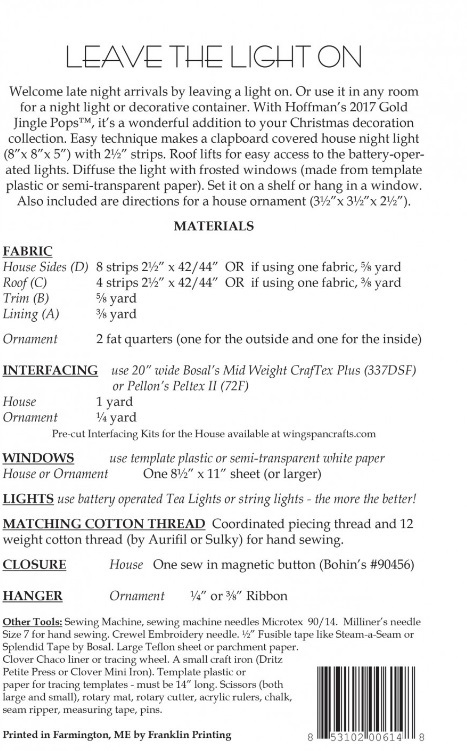 AT614 Bosal Craf-Tex Plus Fusible Double Sided House Kit Available.